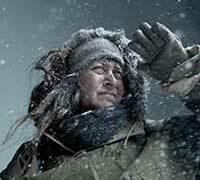 Canada-based producer, broadcaster and distributor Blue Ant Media has greenlit a local version of National Geographic’s long-running factual series Life Below Zero. Life Below Zero: Canada is being produced by Blue Ant-owned production outfit Saloon Media and will air on the company’s Cottage Life channel in 2020. It marks the first format deal for the series, which is produced by the LA production arm of BBC Studios, the show’s distributor. The original version, which also airs on Cottage Life, recently celebrated its 100th episode on National Geographic, having premiered in 2013. Production has already begun on the 8×60’ Canadian version and a special 1×30’ preview episode will premiere in April. The observational doc focuses on people who live off the grid in freezing cold remote regions. BBC Studios and Blue Ant previously paired on the launch of the BBC Earth channel in Canada in 2016.